Clear packaging sells! EcoStar creates the perfect blends of 100% recyclable thin-gauge PET sheet for consumer retail packaging, designed to provide the protection, sustainability and crystal clear clarity required for strong product shelf appeal. Before you thermoform the packaging, you choose the material. And no material has higher shelf appeal than EcoStar rigid rollstock in up to 100% post-consumer recycled, heat-seal and print-grade PET sheet blends. 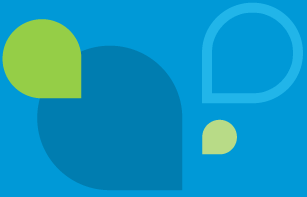 Consumer retail packaging is all about protection, visual appearance and increasingly, sustainability. 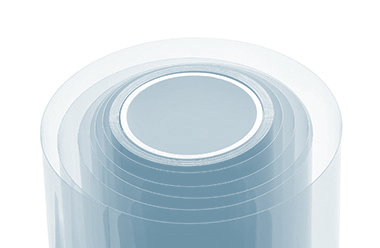 Our PC50™ PET Rollstock is the blend that combines all 3 for easy to form, high clarity packaging that is 100% recyclable. With a guaranteed minimum of 50%, up to 100% post-consumer content, PC50 is an eco-friendly alternative to PVC or 100% virgin material. 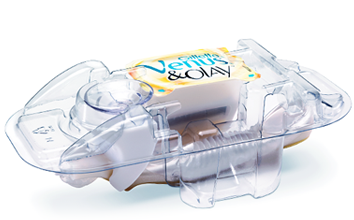 Extruded from curbside collected PET bottles and thermoforms, PC50 exceeds current rigid plastic packaging container regulations in CA and meets the world’s largest retailer’s demands for higher amounts of post-consumer content in plastic clamshell, blister and tray packaging. At EcoStar, we know that packaging is a strong visual representation of your brand, so we’ve blended the highest quality and clarity extruded PET rollstock with sustainability and high customer service to exceed expectations. With superior heat-sealing characteristics, our EcoStar heat sealable (HS) PET rollstock provides sealing properties similar to PVC and PETG. The patented 100% recyclable material is perfect for consumer retail clamshells or blister packaging that requires full perimeter seals for strong protection and pilferage resistance. For strong visual printing applications, EcoStar print-grade (PG) PET rollstock is the right thermoforming material to deliver high shelf impact. With internal denest, our print grade APET rollstock is 100% recyclable and designed for blister, tray and clamshell packaging for products from cosmetics, consumer electronics, to household goods and toys. 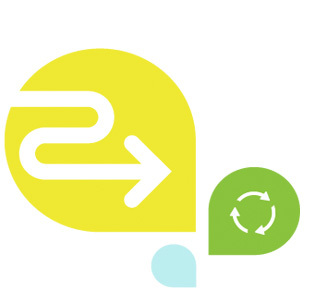 Over 1 billion discarded consumer PET soda bottles, water bottles and thermoformed containers carrying the #1 symbol go through our recycling facility each year. These containers are ground, washed then extruded into our EcoStar brand of PET sheet which is thermoformed back into packaging, helping conserve valuable natural resources. 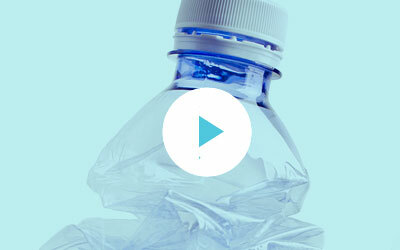 Watch our video for a tour of the EcoStar facility and recycling process.